This giveaway is closed and the winner has been notified. Thanks to all who entered! Happy Monday, friends! 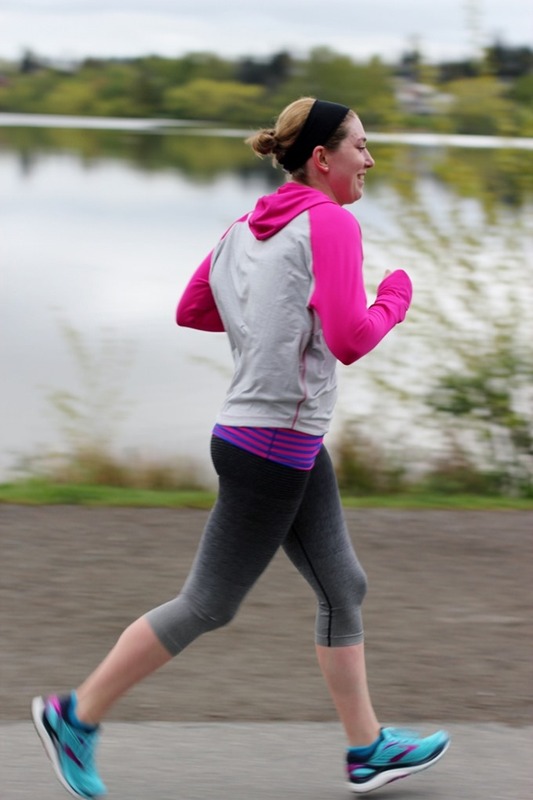 I wanted to share a running update today, complete with a giveaway for you guys (at the end!). Now that its drier and warmer, I’m running a lot more outside these days. I’m aiming for three outdoor runs each week, in addition to treadmill hills and sprints at Orangetheory three days each week. I sure do cherish my rest day! Lucky for me, my running and training partner is back at it this season, finally recovered from a few nagging injuries (knocks loudly on wood). I am SO much more motivated to set my alarm and run at 6:30am on a Saturday when I know there is a friend waiting for me and a fun conversation on the other side of it. In fact, I can’t even remember the last time I ran with headphones. 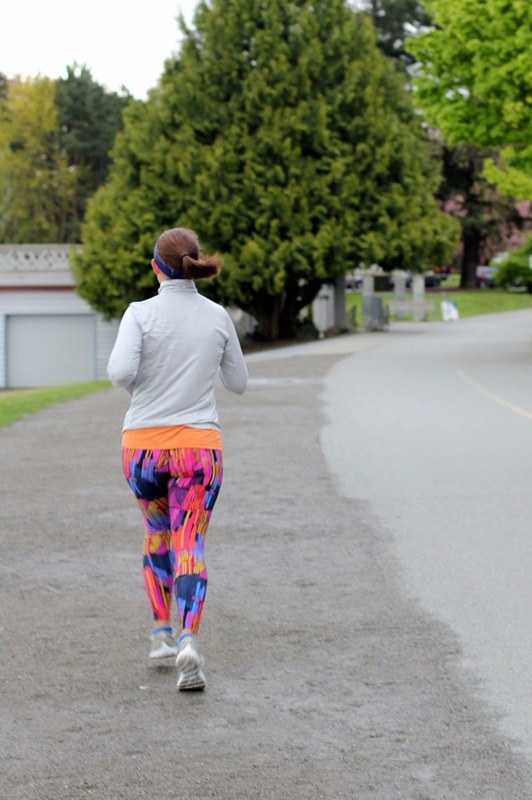 We usually do two weekday runs in our neighborhood – the perk of city life is that we both have great running routes right off our front door steps. And then on the weekends when we aren’t as pressed for time, we like to head to Greenlake for a longer run by the water. I’m not specifically training for any longer distance or race right now (still can’t decide which one to do!) but in the meantime I have two local races to look forward to. I’m running the Beat the Bridge 8K on May 21st with a team for one of Cullen’s buddies who has type 1 diabetes. It’s one of Seattle’s biggest and oldest races, and somehow I’ve never done it – this is the year! I’m also running the Susan G. Komen Race for the Cure 5K on June 4th. 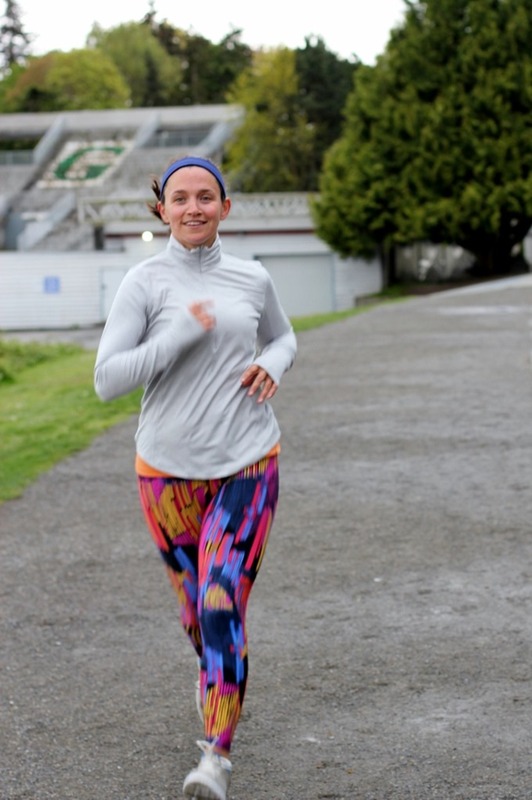 For anyone in Seattle who wants to run it with me, you can use the code RUNWITHEMILY for a discount on registration – I’d love to see you there! 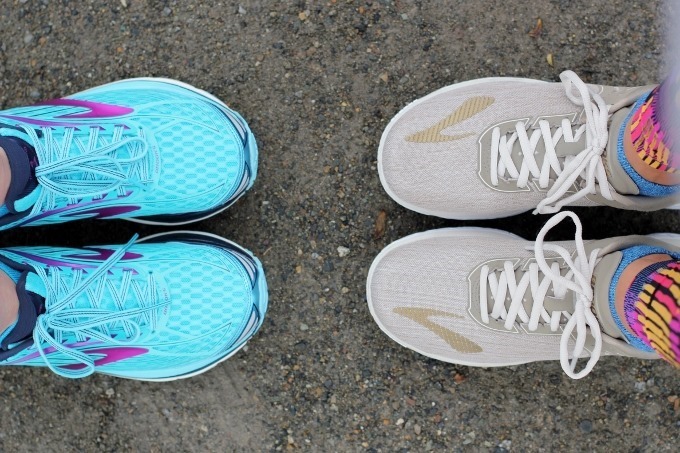 My partnership with Brooks allowed me to gift a head to toe running outfit to “a runner in my life” – and as soon as I got the email I knew exactly who I couldn’t wait to surprise with some new running gear. No surprise, but my girl Lacey has covered hundreds of miles by my side, and it felt like a great way to say thank you to her for always pushing me, dealing with mid-run meltdowns, being my early morning therapist, and for the four hundred times I’ve made her stop so I could go to the bathroom. She is the best, and I’m so grateful to have been running with her next to me for the last few years! 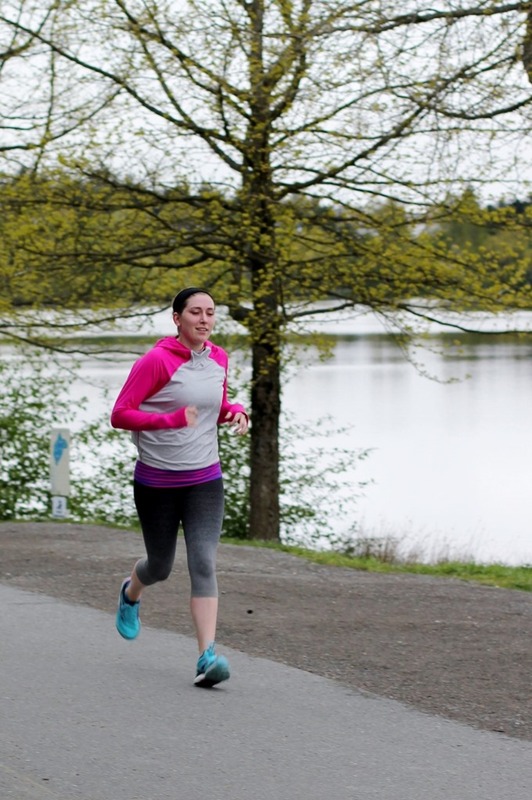 She has battled repeated stress fractures for the past two years, and as we looped the lake she shared that the Transcend 4’s feel like a really solid shoe offering the right amount of support and cushion to hopefully prevent any future injuries. The dash hoodie is also one of my personal favorites – I have it in two colors! I’ve shown you my Ghost Crops before, but they were the perfect length and weight for a gloomy spring run with a hint of drizzle. They are so unlike any pant I’ve ever felt before – almost like a second skin but with the right amount of compression. I can’t wait for these to come out in more patterns and colors! I paired them with the new heather Pure Flow’s – anything gold is my jam! I’ve also been loving this Dash 1/2 Zip top, and while it’s great for running, I also wear it all the time as a casual top with jeans or yoga pants. 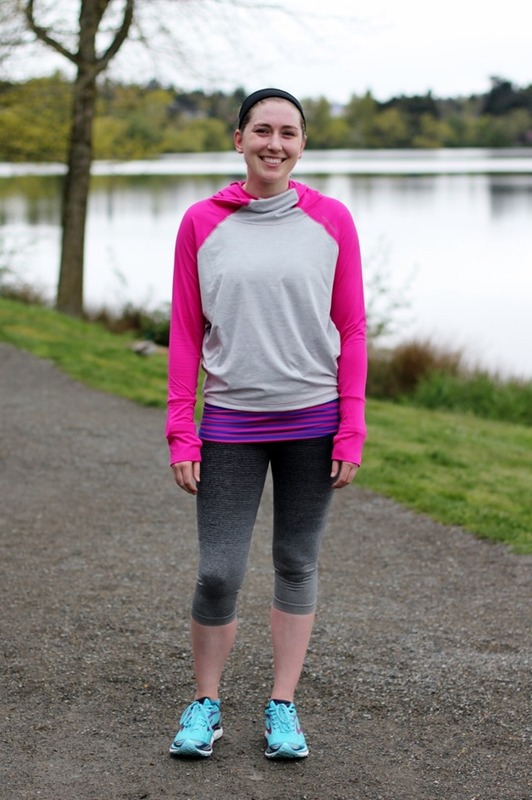 It is SO soft and comfortable, and a great lightweight top for spring runs in the Northwest. But Lacey and I aren’t the only ones who get to try out new gear this spring. I asked my friends at Brooks if I could share the love with you guys too, so one lucky reader will get to choose ANY pair of Brooks shoes! Leave a comment below to enter the giveaway! What are you training for this year? What are your current favorite shoes? Winner will be chosen and notified on Friday, May 12th, 2017. Good luck, and happy Monday! « Previous PostMother’s Day Gift Guide! Next Post » Our Summer Garden! 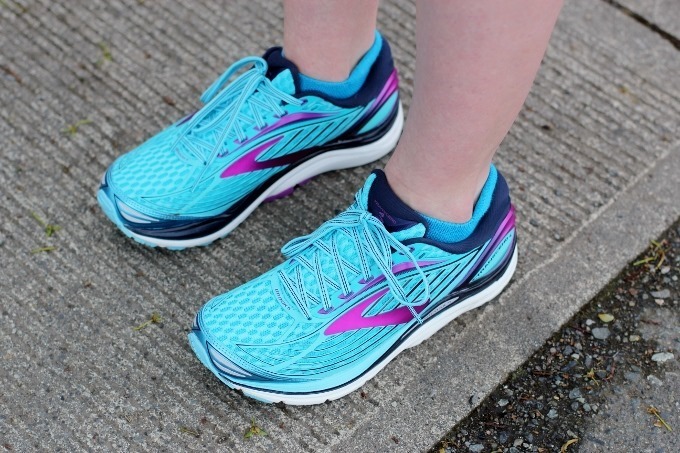 I LOOOOOVVVE Brooks and am currently using them to train for my first half marathon in 2 years, post baby! Urban bourbon half, here I come!